The 2 BKR Conveyor profile running unit has plastic rollers specialized for aluminium profiles, it is alos possible to use pvc profiles for the conveyor. 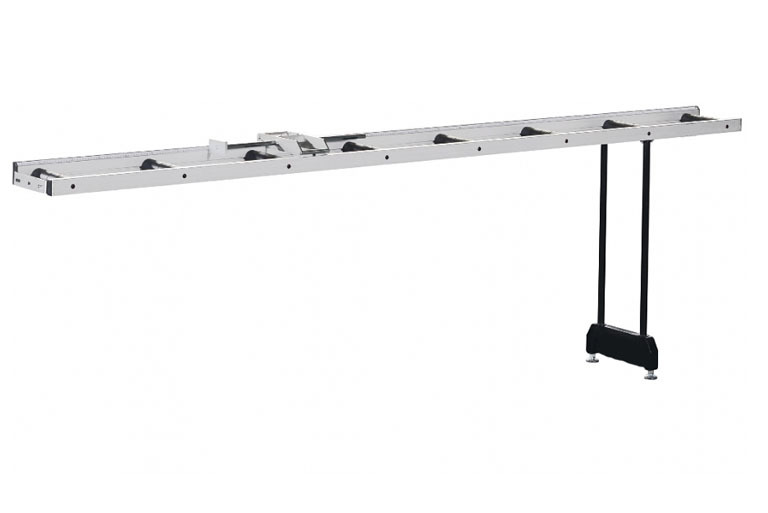 The conveyor has an meter length measuring system on the right side. It is also possible to use the conveyors for the left side on the machine. The plastic rollers will allow to cut aluminium profiles without any scretches and easy moving of the alumininium profile to the machine table for the cutting process. The model has an length of 3 metres.